Top quality construction, and stunning views await you in this spectacular home in Jeremy Ranch. No detail was overlooked in this Upwall design built by Arden Hess. Impeccably maintained by its current owners, this home boasts wall to wall custom upgrades from onyx bathroom counters, signature round staircase, glass elevator, full home automation, and views galore. 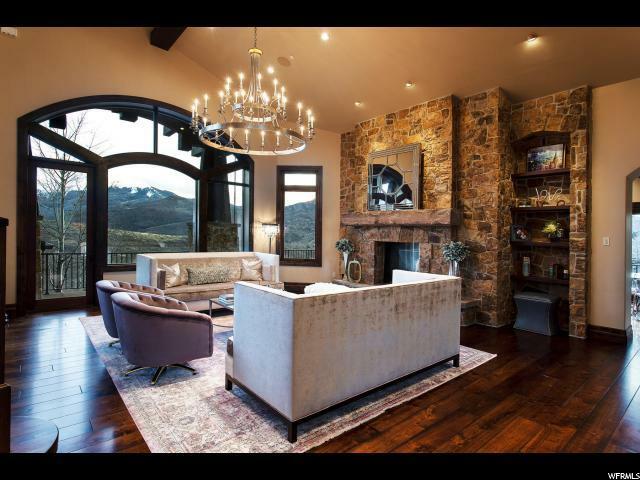 This 5 bed 7 bath home sits on over an acre, just minutes from schools, Salt Lake City, and all of Park City's amenities. Enjoy multiple living areas, solarium with Nanowalls let in an abundance of light, oversized wine room, office, and multiple outdoor living areas. Office with bath and closet can be a 6thbedroom. Multi-tiered waterfall and outdoor kitchen area makes for lovely entertainment space. Oversized three car garage. This home is for the discriminating buyer that appreciates top quality craftsmanship. Just 25 minutes to downtown Salt Lake City makes a perfect home for Park City living.